We were delighted last week to be awarded the Eco-schools Platinum Award. We were visited by an Eco-Schools assessor. As part of this the assessor met with our Eco Committee and was also able to see how being eco-friendly and learning about sustainability fits with our school curriculum. We also talked about our recent whole school lighting project and possible plans t out solar panels on the roof of the school building. As a school we have gained the Eco-Schools Green Flag award on a number of occasions. 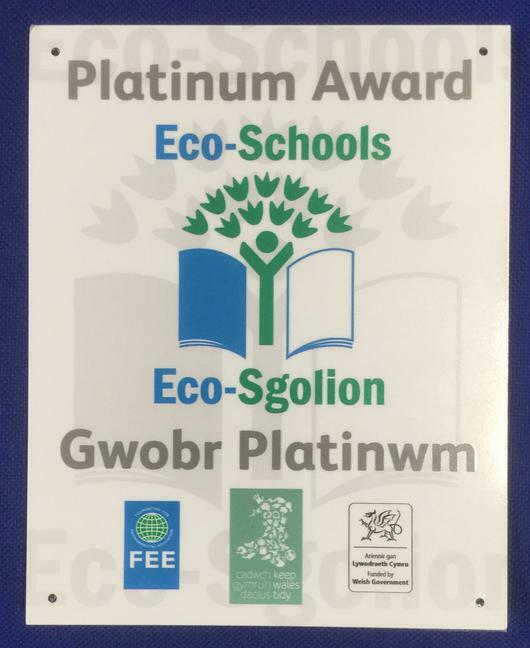 Schools achieve Platinum status once they have been awarded the Green Flag four times – demonstrating their long-term commitment to environmental education, student involvement and sustainability. Platinum schools are ranked amongst the best in the world on the Eco-Schools programme. We are obviously very proud of this award. Thank you to our Eco Committee for sharing all of the information with the assessor.